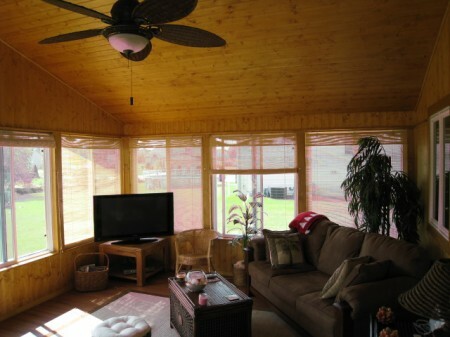 Four Seasons Sunrooms can custom build or employ prefabricated kits to expand your existing living space with a new room addition. Do you have an unsightly deck that is getting little use? 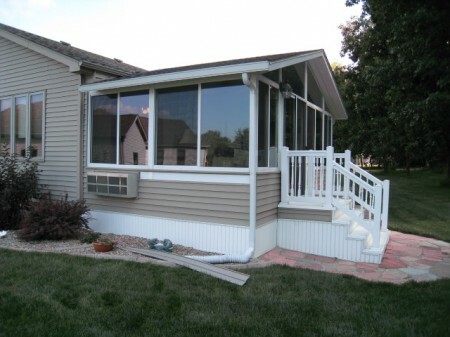 We can use your deck’s location to build a new living area for year-round enjoyment. 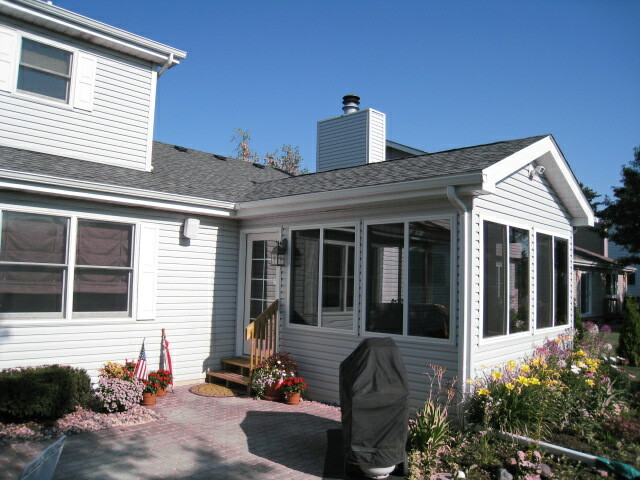 Exterior of gable room addition on which we matched all the siding, trim, and shingles. Year-round use with a heater/cooler. 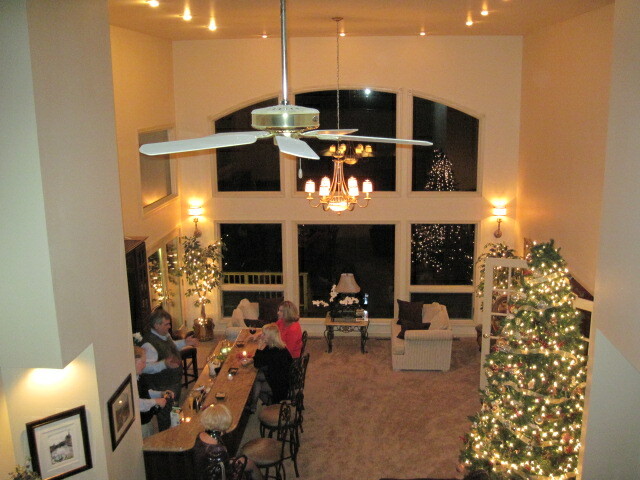 This is an interior view of the room addition above. We used pine on all interior walls and the vaulted ceiling, giving it a rustic and spacious look. Our happy clients love the light and cozy comfort of their new room addition. They can’t believe how much use they now get from this room! This is actually a prefab kit on which we matched the existing house siding, trim and shingles. We also added the vinyl, no-maintenance landing and stairway. You could never tell this room was added on. Everything matches the original home construction exactly. This new room addition occupies a space where the happy owners previously had an unused deck. This is the interior of the room addition above. This room has become a favorite living space for the satisfied owners who simply cannot believe how much use they get out of this room. 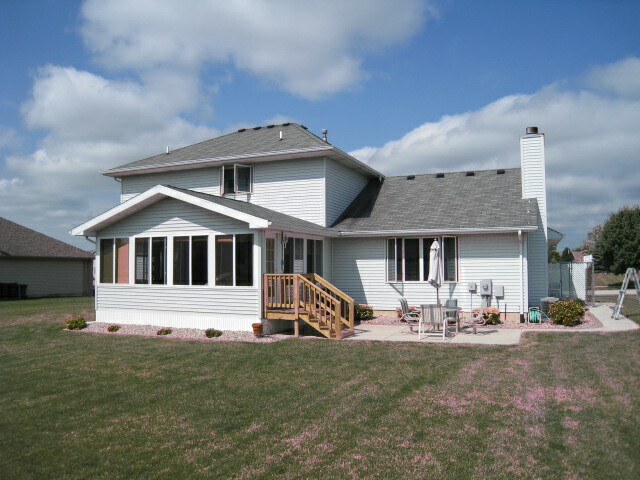 This is a two story addition we did in Valparaiso. 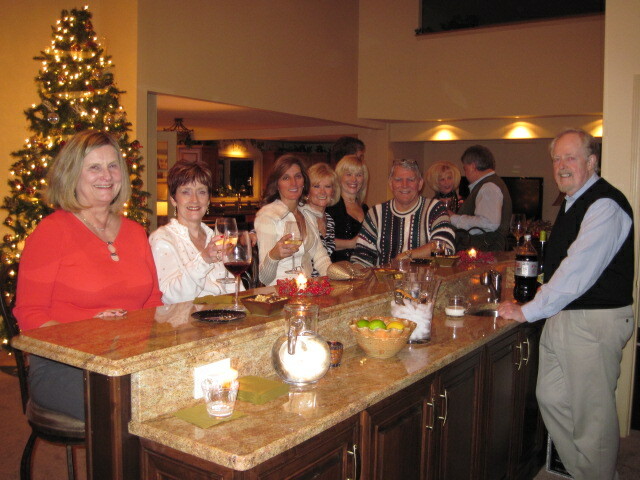 We actually ‘blew out’ the entire wall and extended this gorgeous room with bar. Beautiful place for a Christmas party!